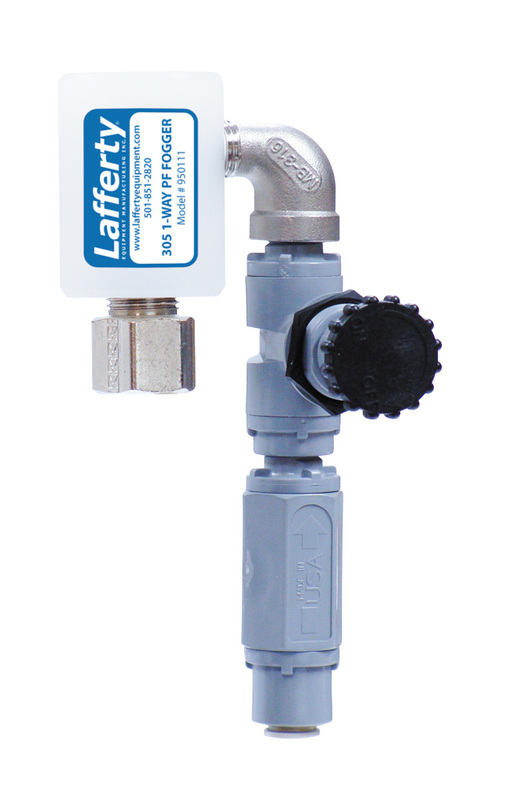 305 1-Way Pump Fed Fogger | Lafferty Equipment Manufacturing, Inc. The 305 1-Way Pump-Fed Fogger is a chemical atomizer that receives ready-to-use chemical solution from a central chemical system. Using 7.4 CFM @ 80 PSI of compressed air, it will atomize the solution and project it as light, "damp" fog particles at distances up to 25 feet.